Once a contractor has been selected for your build – which is known as the Contractor Selection stage – it is time to commence the Contract Administration stage. This stage begins with the preparation of the contract documents; including making the arrangements for the signing and execution by you (the owner) and the building contractor. This needs to be in place before construction can commence. Whilst your project is on site I will report regularly to you in regards to time, cost and progress of your build. 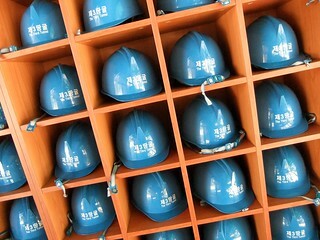 I will visit the site periodically to observe the general conformance of the construction works with the building contract documents and instruct the building contractor regarding design quality control, materials selections and performance. I will arrange and attend regular site meetings along with the preparation of the minutes. When the need arises the building contractor may present shop drawings for my revision. For a residential project these maybe prepared for the joinery, windows, stairs etc. On occasions it may be necessary to coordinate the construction services provided by other Specialist Consultants; examples of these maybe the co-ordination of services on site. As required instructions, supplementary details and clarification of the contract documents will be provided to the building contractor. Variations will be assess and determine and your approvals will be obtain. I will assess and determine the building contractor’s progress claims (and issue progress certificates), and claims for extensions of time. When required I will adjust prime cost and provisional sums and other monetary sums. If and when required instructions will be given to the building contractor in regards to incomplete work and rectification of any defects. I will assess and determine Practical Completion and issue the notice of Practical Completion. This is typically when you will move back into your house. People often assume the architect’s role is complete at practical completion; however, the building contract doesn’t reach its end until the final certificate is issue. This occurs when all the defects are completed at the end of the defects liability period; which is typically 12 months after practical completion. At the end of this period I will instruct the building contractor in regard to incomplete work and rectification of defects. Once these are complete I will assess and determine the final completion and issue the final certificate.